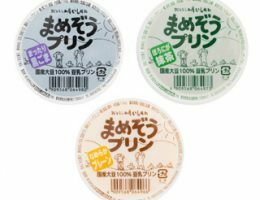 It is a simple dessert pudding made from soymilk produced using 100% made in Japan soybean, fresh egg and sugar. It is produced in a homemade style with rich flavors of soy milk and egg. Please enjoy it after chilling. It is also delicious to serve with cream. 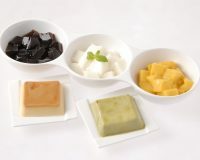 We offer three types of flavors including matcha (green tea), black sesame and plain.